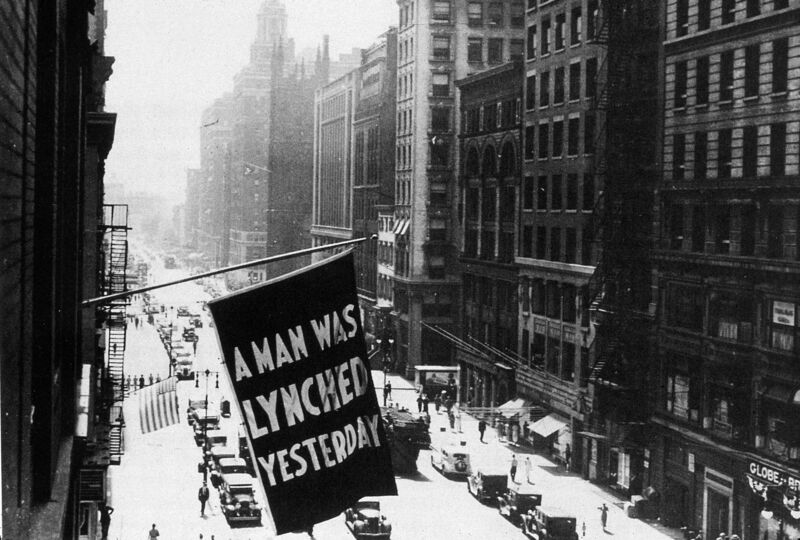 Between 1920 and 1938, the NAACP flew a flag outside its headquarters on Fifth Avenue in New York City reading, “A man was lynched yesterday.” As black people were murdered by mobs around the country, the flag would appear, marking one of New York City’s busiest thoroughfares with a protest of constant racial violence. The NAACP stopped flying the flag in 1938 when the landlord of the building threatened eviction. But on Thursday night, a version of that same flag, created by artist Dread Scott, flew in New York’s Union Square as hundreds of people protested recent police killings of Alton Sterling and Philando Castile. This week has seen nationwide protests after two police killings were documented in graphic video: Sterling, who was shot and killed when officers responded to a disturbance call in Baton Rouge, and Castile, who was shot during a traffic stop in Falcon Heights, Minnesota. The updated flag is now hanging outside the Jack Shainman Gallery, its second time on gallery display. 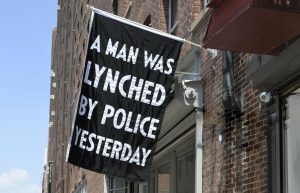 Scott first created the new version of the flag in 2015 after a police officer shot and killed Walter Scott, a black man, during a traffic stop, and displayed it at the Moberg Gallery in Des Moines, Iowa. Scott said he wanted the flag to help situate those killings in the context of history, and in particular the history of violence against black people in the U.S.
Thousands of African Americans were lynched in the U.S. between the Civil War and World War II, according to Equal Justice Initiative. Lynching created a “fearful environment where racial subordination and segregation was maintained with limited resistance for decades,” the nonprofit’s 2015 report said. As protests continue across the country, there is a renewed focus in the mainstream art world on work that addresses the effects of violence on black people. 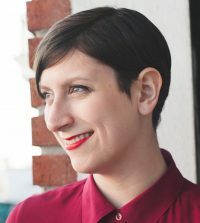 “I think there is a particular moment now, where a whole lot of people, including prominent galleries, are wiling to do things that three or four years ago they would not have done. And people are in the streets in a way they would not have been three years ago. That’s very inspiring,” Scott said.